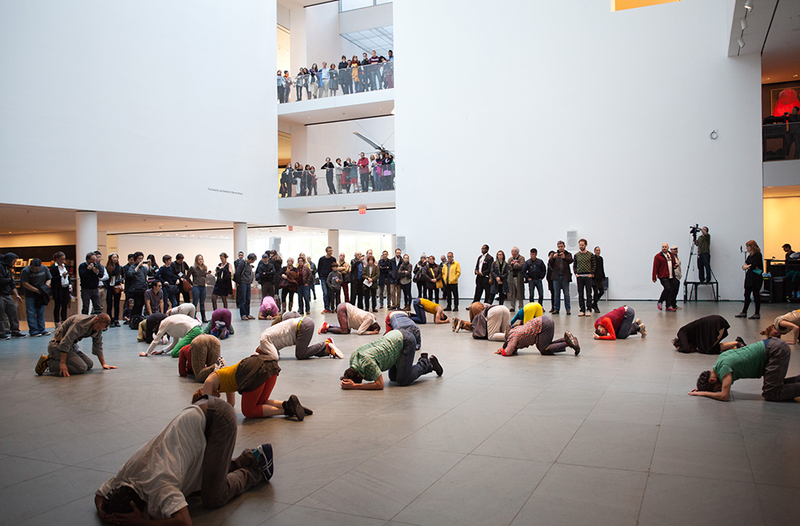 © Levée des conflits extended/Suspension of Conflicts Extended, présentée dans le cadre du Musée de la danse: Three Collective Gestures au Museum of Modern Art (New York), 2013. Avec l’aimable permission du MoMA. A presentation by Ana Janevski (MoMA) followed by a discussion with Barbara Clausen (UQAM). This event will explore how the ongoing institutionalization of performative and relational practices is staged and curated within the museum context. Conversations will be held in French and in English. Event organized in collaboration with UQAM’s graduate programs in Art History.